It’s time again for my top five albums of the year. As I was preparing for this post, and I’ve probably always known this, I realized that while I love music, I’m not going to spend time searching for the unheard-of bands, or the albums that no one knows of. I’m not a true audiophile in that sense. But I do love good music. I could never compile a list like Steve McCoy’s. I don’t have the time or the budget. And to be fair, I’m certain that there are several albums on Steve’s list that would be included in mine. No, my tastes are slightly more mainstream. And while you’ll never see the likes of today’s Pop Stars on this list you will most likely know the bands that are mentioned here. Just like last year, I thought I would mention several albums that were good, but didn’t make the list 1. This year’s most disappointing album was Battle Born by The Killers. I was really looking forward to it, but goodness, what a mess. They seem miles away from the band that gave us Hot Fuss & Sam’s Town. This band is Icelandic. I have no idea what they’re singing, which is okay because some of their songs use a non-literal language…basically made up sounds. It’s called Vonlenska. Wikipedia calls them an ambient/post-rock band. It doesn’t matter their language, or what Wikipedia calls them…they’re good. The music is ethereal and mesmerizing. I didn’t pick this album up until really late in the year…but I can’t stop listening to it. Initially it reminded me of My Morning Jacket. 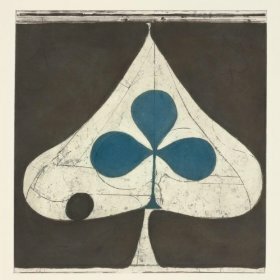 But Grizzly Bear is better, both musically and lyrically. This album features great harmonies between Edward Droste & Daniel Rossen. 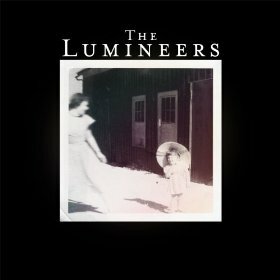 You know the Lumineers because you’ve likely heard Ho Hey about a thousand times on the radio. Fortunately the album is more than that one song. And fortunately, most of the other songs are better than Ho Hey. Lyrically easy on the ears…and you can sing along with all the songs. The guitar intro on the first song, Dirty Paws, instantly hooked me…and I didn’t stop listening. This is an album that takes the listener from a story about bees, birds, and creatures with Dirty Paws to a romantic discourse between lovers in Little Talks. Incidentally, this band is also from Iceland. 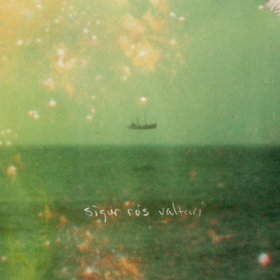 What is it about good music coming from Iceland? I thought Björk was that country’s only export. The music is whimsical, wispy, a little folksy…and good. In my past two years I’ve had albums that might have been slightly controversial…nothing major, but enough for some to question. Maybe Babel is this years controversy. 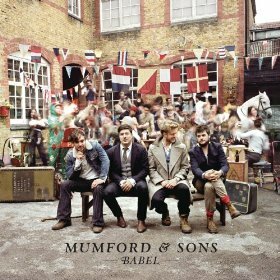 Mumford, despite huge success and a brilliant first album, Sigh No More, have collected a group of haters along the way. Apparently Mumford is now formulaic…tired…not original. Apparently their second album was supposed to depart from who they are, and what made them successful. I don’t think U2 was asked to reinvent themselves on their second album. They didn’t try that almost disastrous experiment until their 8th & 9th albums. So let the haters hate. 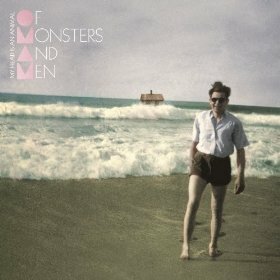 I love this album. It was easily my favorite album of the year. While My Head Is An Animal was good, it really was a distant second. This album is filled with arena worthy anthems. Babel is more polished than it’s predecessor, but still fills familiar. It is pregnant with spiritual undertones and hard love. It slows down, speeds up, stops, and then does it all over again. It’s hard to pick a favorite song on this album. In fact, it’s easier to pick the few songs I didn’t like as much. One song that really grew on me was Lover of the Light. A first listen caused me to pause and say, “wait a second, when did they become the Dave Matthews Band?” Listen to the beginning of the song…you’ll see what I mean. But once I saw the video it completely changed things for me. We lived in Wales (UK) for five years…and the video for this song was shot in Wales. We became fans of Idris Elba while living there as well. Idris directed and starred in the video. It’s an excellent story. Watch for yourself. Having said that, Lover of the Light isn’t my favorite song on the album. Hopeless Wanderer gets that title. It reminds me of U2’s I Still Haven’t Found What I’m Looking For (which happens to be my favorite song of all time). It’s a story of searching for truth…of knowing it, and then not. As always, let me know your thoughts – where you agree, or not.